Details: Specifically formulated to wash hair from the inside. Helps remove chlorine and impurities, increase inner strength and prevent immediate re-deposit. Ideal for swimmers to beat the 'chlorine green'. Excellent before deep conditioning. Directions: Apply a small amount. Massage. Rinse. Suitable for daily use except on color treated hair. My Thoughts: This is a really good clarifying shampoo. In the past I used Elucence and Kenra clarifying shampoo but I decided to buy this one for the price. 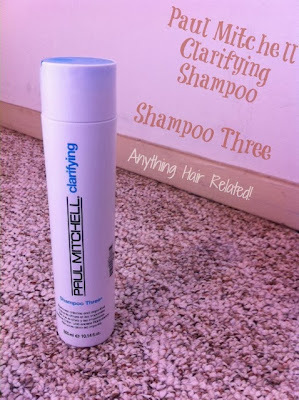 After the first wash with the Paul Mitchell, my hair felt clean but not completely striped. However, I decided to shampoo with it twice and that was a big mistake. My hair felt like a cardboard box. Thankfully, I deep conditioned with heat and my hair was smooth and soft again. After blow drying and flat ironing, my hair was soft, flowing, and full of bounce. 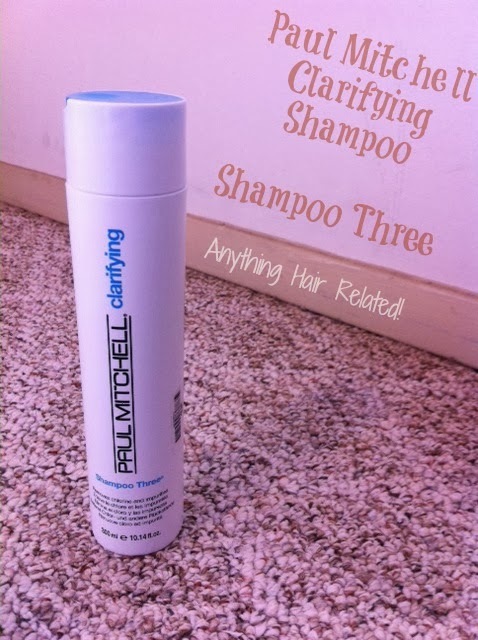 Also, the smell of the Paul Mitchell shampoo kind of reminded me of grapefruit. Keep It OR Toss It: Keeping it!